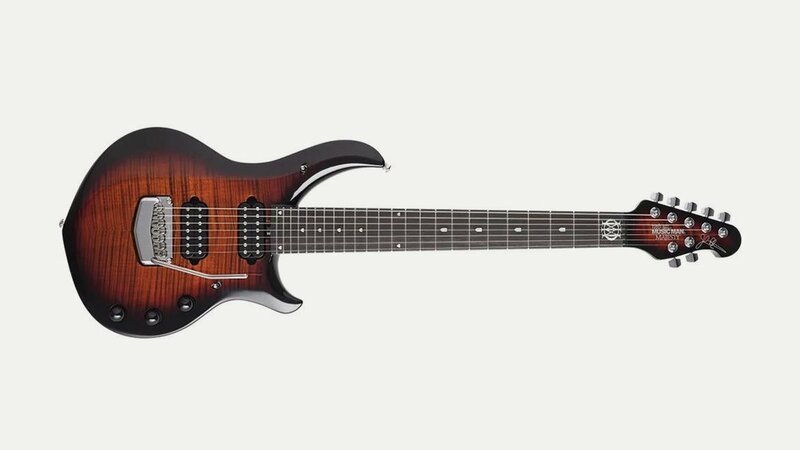 For 2019 Music Man launch a host of updates and new finishes including the attractive 2019 Majesty guitar in a Tiger Eye finish. Featuring a three-piece Honduran mahogany neck with a centre strip of highly figured maple and an Alder body with carved maple top. The ebony fingerboard is inlaid with white pearl shield position markers, and the neck is completed with a matching figured maple headstock. Featuring newly custom designed signature DiMarzio Dreamcatcher and Rainmaker pickups, with a push/push volume for over 20dB gain boost. Offered in a 6 and 7 string.